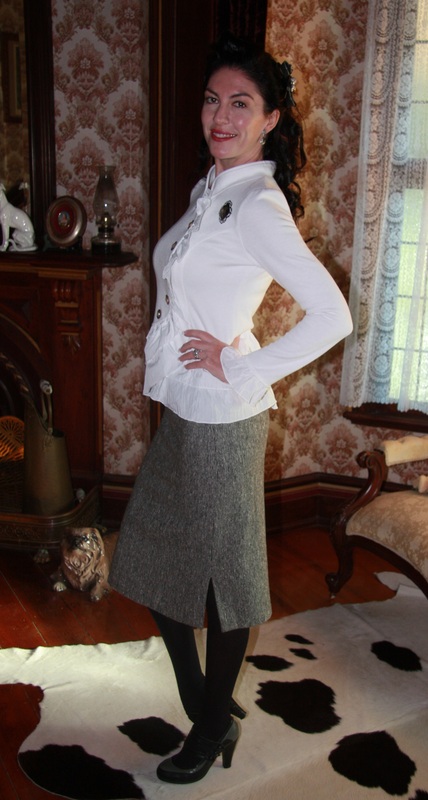 Outfit: Grey vintage woollen skirt (a gift from a friend ;)), worn with a winter white jacket featuring silk ruffle trim. Shoes: Grey and black two tone spectator heels with triple strap. Hair: Curled and worn down, with a black hair accessory featuring a zipper trim. 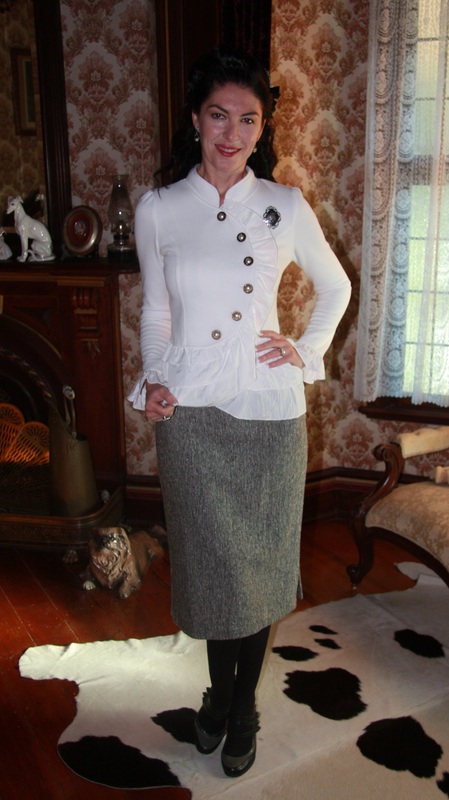 Accessories: Vintage Siamese sterling silver brooch, vintage silver and hematite drop earrings. THIS “TAKE” IS VERY ATTRACTIVELY DONE!